1. Was The Things They Carried a work of fiction or nonfiction? Did the author do anything to muddy the waters between the two categories? 2. Why do you think Tim O’Brien titled the book as he did? What physical objects did the soldiers carry and what did these objects mean to their survival and mental health? 3. The Things They Carried is full of different points of view – re: the use of first person (“I”), the use of second person (“You”), and the use of third person (“He, She, They”). Why do you think O’Brien slipped back and forth between different points of view? How did it affect your reading experience? 4. What was O’Brien’s job before he went to war? How did this job prepare him for war? Why does O’Brien go to war? Is it about bravery? 5. Do the soldiers ever fight each other? Why do they fight? How is that fighting different than what goes on with the enemy? What is your reaction to that quote? Can you think of other movies, poems, novels, or short stories that hold this same sentiment? 7. Do soldiers today deal with the same issues that soldiers in Vietnam dealt with in The Things They Carried? 8. 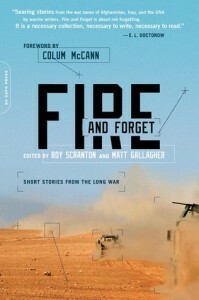 Was your understanding of war expanded by reading this book? How? What were some startling or surprising elements you learned about? 9. How did it make you feel to read this book? How did your brain react? How did your body react? What about your heart? 10. What were some examples of black humor in The Things They Carried? Why do you think the soldiers had such dark humor? What did it accomplish? 11. What are words you would use to describe this book? Think about the tone and about the pacing. 12. How many stories deal with Kiowa’s death? What is the purpose of each story? Why do you think the author chose to separate Kiowa’s death into so many different parts? In the end, who do you think is responsible for Kiowa’s death? 13. O’Brien uses repetition as a storytelling device. How does this writing technique affect the narrative? 14. O’Brien says, “Stories can save us.” What does that mean? Do you think it is a true statement? Can you think of a story that saved you at one time or another? 15. Recall a passage or an image that has stuck with you from this book. Retell it in as much detail as possible for us. Why did this moment stick with you? 16. Many book clubs have read a plethora of fiction and nonfiction books on WWII. How might reading about WWII be easier for participants than reading about Vietnam or more current conflicts? 17. In our current culture, there are a flood of fiction and nonfiction books written about WWII or with WWII as the backdrop. 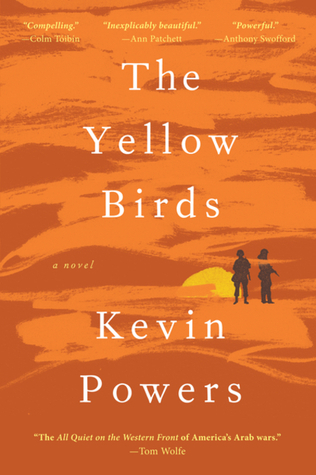 There are not nearly as many popular novels and nonfiction tales set against Vietnam. What do you think that is? 18. Yet, there are many, many Vietnam movies out there. 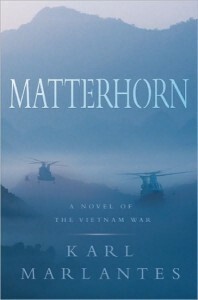 Why do you think movies about the Vietnam War may be more popular than novels or nonfiction bout it? 19. Do you think voluntarily enlisting in a war versus being drafted into a war will change the type and tone of stories told about that war? How does that possibility ring true for Vietnam War stories that have been told? 20. 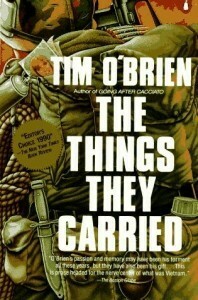 Many high school students are assigned to read The Things They Carried. Why do you think this book ends up on required reading lists? Do you think it is an appropriate read for that age group? 21. What were the hardest parts of The Things they Carried for you to get through? 22. The Things They Carried is only 246 pages. Was it a fast read? Did it feel longer than it was? 23. Would you read more by the author Tim O’Brien? 24. Who would you recommend this book to and why?